Good news about Joey Yung (容祖兒) and Wilfred Lau (劉浩龍) getting back together after a rumored split surfaced today. Although the couple’s road is not easy, love brought them back together to give each other another chance. 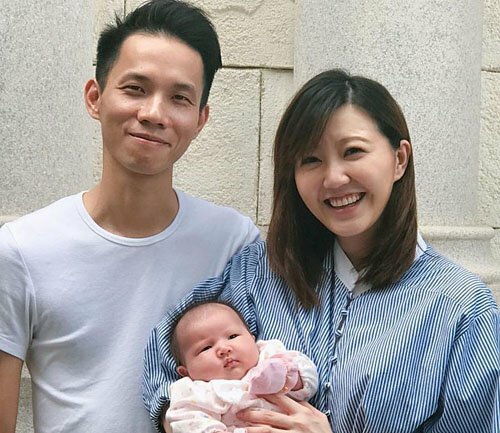 The Hong Kong entertainment industry is full of hopeful stories where couples who split up, even as long as a decade-long separation, realized that their love never faded away. 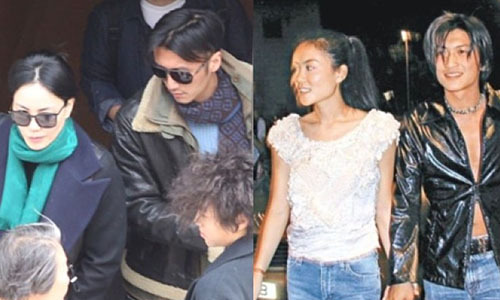 When Nicholas Tse (謝霆鋒) was only 20 years old, he dated 31-year-old Faye Wong (王菲), who was also a single mother at the time. Dating for three years, the couple allegedly broke up three times and reunited three times before splitting again in 2003. Faye eventually married Li Yapeng (李亞鵬) in 2005 and Nicholas got married with Cecilia Cheung (張栢芝) in 2006. Faye has two daughters from each of her marriages, while Nicholas has two children with Cecilia. With Nicholas unable to stand Cecilia’s fiery temper, the couple eventually got divorced in 2011. Faye also got divorced from Li Yapeng in 2013. Nicholas apparently never forgot his feelings for Faye and wanted to rekindle their romance after Faye resumed her single status. Eleven years after their breakup, Nicholas and Faye started dating again. Although they allegedly do not have intentions to get married, they live together and lead a life similar to married couples. After filming 1997’s Bishonen <美少年之戀>, Shu Qi (舒淇) and Stephen Fung (馮德倫) were romantically linked together. Stephen would become Shu Qi’s quiet protector for the next 20 years; they confided in each other during their darkest hours. Stephen continued to admire Shu Qi, but the couple went on to date different people. In 1998, Shu Qi dated Leon Lai (黎明) and was bullied by his fans, before breaking up in 2005. Stephen dated Karen Mok (莫文蔚) in 1998, but the couple went their separate ways in 2007. Over the next several years, Shu Qi and Stephen were once again romantically linked. The couple was coy about the details of their relationship, until finally announcing their marriage in 2016. Fans were delighted to see that the best-friends-turned-lovers found a happy ending. Admitting to dating Macau heir Alex Ho (何兆鴻) in July 2016, Jinny Ng (吳若希) just as quickly announced their breakup two months later. Afterward, Jinny realized she was already pregnant with Alex’s baby, so the couple decided to give their relationship another chance. However, Alex’s mother allegedly did not like Jinny as she preferred a woman who can devote more time to care for the family, and tried to stop Jinny from marrying into the Ho family. Although Jinny gave birth to their daughter in April 2017, she did not officially become Mrs. Ho until six months later. Most first loves do not have happy endings, but Karen Mok (莫文蔚) proves that love can be fated. Growing up in Hong Kong, Karen studied abroad in 1987 and met German boyfriend Johannes in Italy when she was 17 years old. The couple dated for one year before separating. Returning back to Hong Kong, Karen would become a prolific film actress and singer. While filming a movie in Germany in 2003, Karen ran into Johannes again but he was already married with three children. Karen was dating Stephen Fung at the time. Timing was very important in Karen and Johannes’ relationship. They met when they were too young and Karen was determined to forge an ambitious career. In their youth, they dated different people. In 2010, Karen and Johannes got back together after splitting with their respective partners. The couple got married in Italy, which was where their love had first sprouted in 2011. They left out Andy and Sammi! So happy when they got back together. @littlefish Nah, ^ is basically to point at her remark. @elizabeth ^ is to point at your remark. I’m surprised that this caused confusion because it’s a pretty common way to refer to a prior post in forums.